Educating customers and consumers is an important part of Barbicide's mission. Whether you are a student, an educator or a licensee Barbicide has educational opportunities that will take you to the next level with infection control education. 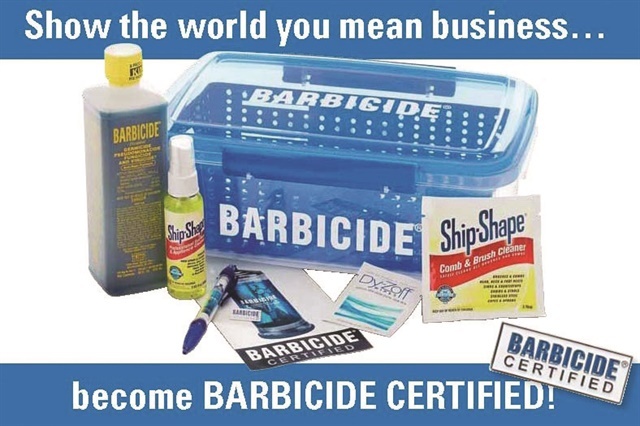 Everyone benefits from the free Barbicide Certification course… in less than an hour, you become certified! Educators will benefit from our many handouts, power points and images that can be used in the classroom to make a very dry subject more interesting to teach! Licensees will benefit from the links to state board websites so they can assure they are getting the correct products. Sign up here. EDUCATORS: If you are interested in starting a self-proctored program in your school, please contact: [email protected] for details! This program will allow you to distribute certification materials to students who have successfully completed the Barbicide Certification program.